Head over to Vital BMX to get an up-close look at his Criminal Mischief-inspired bike with our Elite v2 Wheels! Van Homan was in France earlier on in the year filming for our most recent DIG X FIT video and Antoine Sabourin continued his onslaught of badly timed interview questions for this latest ‘Worst Interview’ feature. Van and Rooftop teamed up at this year’s Battle of Hastings. Hit play to watch this legendary duo bring a fresh perspective to the plaza. Team Illingworth got 2nd place at this year’s Mongoose Jam but now the Viewer’s Choice award is up for grabs. Click HERE to give ’em a vote! For Mongoose Jam 2017 Team Illingworth went beyond simply killing it on their bikes and they had some fun with their video by adding in a little skit. With Greg Illingworth’s speed and style, Van Homan’s legendary full throttle burly action, new-school tech wiz Murray Loubser, and camper Jack Seeley with some street steez, every obstacle at Woodward was open game. South African lensman Kevin Schnider nailed it with the camera work, making a unique video that is fun to watch. 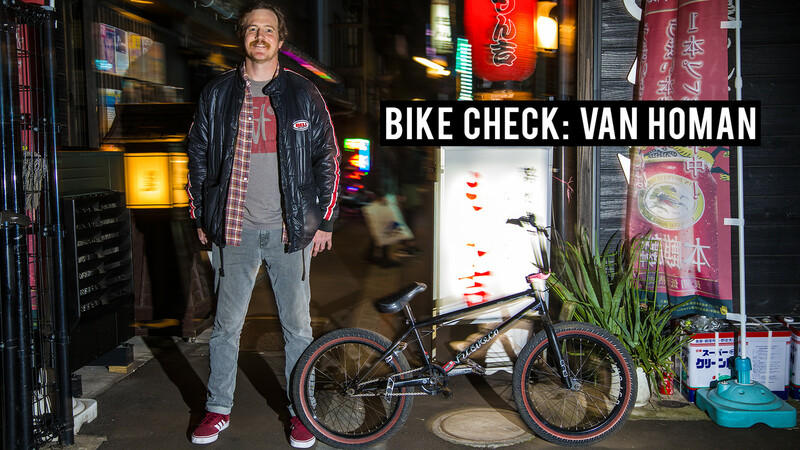 Check out Van’s latest bike check from Fit. He’s rolling on our new ELITE WHEEL (Roloway Hub + Birdcage Rim) in the front and our ROLLCAGE RIM laced to an Odyssey Antigram in the back. Van Homan’s REAL BMX video part does not disappoint. Give it a watch and go HERE and vote. I’m really digging the vibe in this one and there are some good cameos in this, too. Hit play to join Van on a 7,500 mile journey.